Tedio Boys were the most famous Portuguese rock band of the 90s. 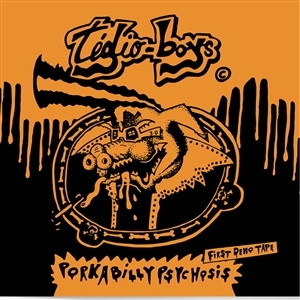 3 tours in the USA helped cement the name of Tedio Boys as the biggest name on the Portuguese Rock scene.After their end, their elements followed solo careers in bands like Parkinsons, Legendary Tigerman, D30, A Jigsaw, Wraygunn, Bunnyranch, etc.Discontinued for many years, Rastilho Records now reissues "Porkabilly Psychosis" in CD, LP and DIGITAL formats on May 19, 2017.Remastered - from the original tapes- by Rui Dias and retaining the original artwork of the edition, "Porkabilly Psychosis" its finally available again! Tedio Boys were the most famous Portuguese rock band of the 90s. 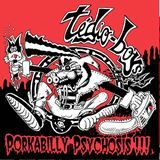 3 tours in the USA helped cement the name of Tedio Boys as the biggest name on the Portuguese Rock scene.After their end, their elements followed solo careers in bands like Parkinsons, Legendary Tigerman, D30, A Jigsaw, Wraygunn, Bunnyranch, etc.Discontinued for many years, Rastilho Records now reissues "Porkabilly Psychosis" in CD, LP and DIGITAL formats on May 19, 2017.Remastered - from the original tapes- by Rui Dias and retaining the original artwork of the edition, "Porkabilly Psychosis" its finally availableagain! TEDIO BOYS were one of the most important Rock bands of the 90s of Portuguese music. In its origin are many fundamental bands that would form after its end: Legendary Tigerman, Parkinsons, D30, Twist Connection, Blood Safari, etc. "Porkabilly Psychosis - The Demo Tape" its how it all began! The first demo of the legendary TEDIO BOYS, originally released in 1992 on Cassete | Tape, will be released on CD and LP by Rastilho Records on April 13, 2019. 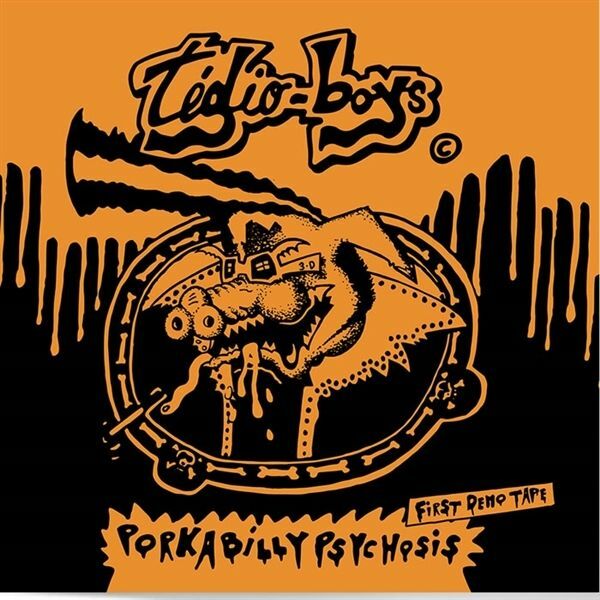 "Porkabilly Psychosis - First Demo Tape" is the historical demo tape (recorded before the 1994 debut album "Porkabilly Psychosis" ) , formed by Tony Fortuna (vocals), Victor (guitar), King Cake , Andr (bass) and Nito (drums).A classic and essencial release to understand the subsequent cult! Official Record Store Day 2019 EditionLP10" 45 RPM, Transparent Orange limited to 333 copiesTDIO BOYS were one of the most important Rock bands of the 90s of Portuguese music. In its origin are many fundamental bands that would form after its end: Legendary Tigerman, Parkinsons, D30, Twist Connection, Blood Safari, etc. "Porkabilly Psychosis - The Demo Tape" its how it all began! The first demo of the legendary TEDIO BOYS, originally released in 1992 on Cassete | Tape, will be released on CD and LP by Rastilho Records on April 13, 2019. "Porkabilly Psychosis - First Demo Tape" is the historical demo tape (recorded before the 1994 debut album "Porkabilly Psychosis" ) , formed by Tony Fortuna (vocals), Victor (guitar), King Cake , Andr (bass) and Nito (drums).A classic and essencial release to understand the subsequent cult!